This session will focus on easy ways teachers can create videos for various uses. 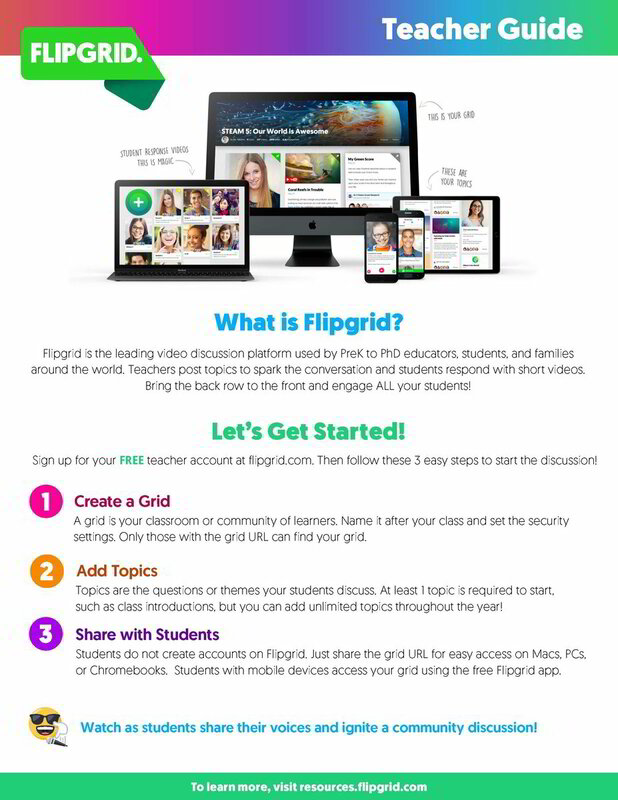 We will explore Loom, Flipgrid, and Windows 10 Photos App. Each provides an extremely easy to use platform for teachers to have a video up and shared in no time. Communicate with parents and students or even your colleagues without going back to college to become a video producer. These will be brief overviews, but we will create and spend some hands on time with Loom, my favorite tool for fast video production. For every 10 seconds of video you record it is equivalent to 81 seconds of typing. No more super long emails that take forever to write. Simply click Loom to record and start saving time! Your viewers will be able to watch your videos when it is most convenient for them and revisit videos when needed. Whether you communicate with people across the office, across the country, or people around the world, Loom videos will be loved by your viewers! You communicate with text messages and emails all day, but rarely do you feel closer to people when only text is exchanged. It is human nature to emotionally bond with people we see and hear on a regular basis. Send more Looms, build deeper relationships.